Walkable urbanism describes a physical environment that is human-scale and is highly accessible for those traveling on foot or by bicycle. In order to increase the attractiveness of downtown to people who might want to live, work, or shop there, the City of Monmouth should work with local business owners and residents to incorporate new streetscape elements that enhance the beauty and accessibility of the downtown. The City of Monmouth should conduct public workshops to determine desirable streetscape amenities for the downtown and devise a schedule of capital improvements for streetscape beautification. The City should work closely with property owners in the downtown to create a plan of shared responsibility in beautifying the downtown. For example, the City can commit to funding way-finding signage and wider sidewalks whereas business owners might be responsible for awnings and flower boxes. 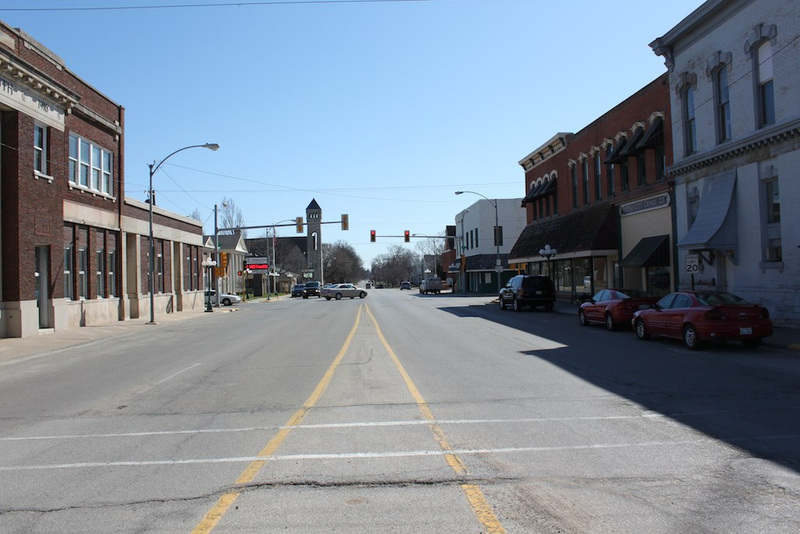 Community Example: See Mount Vernon, Iowa on page 20 for examples of how communities share responsibility for streetscape improvements. The National Complete Streets Coalition defines complete streets as those that are “designed and operated to enable safe access for all users. Pedestrians, bicyclists, motorists, and public transportation users of all ages and abilities are able to safely move along and across a complete street” (Complete Streets, 2011). 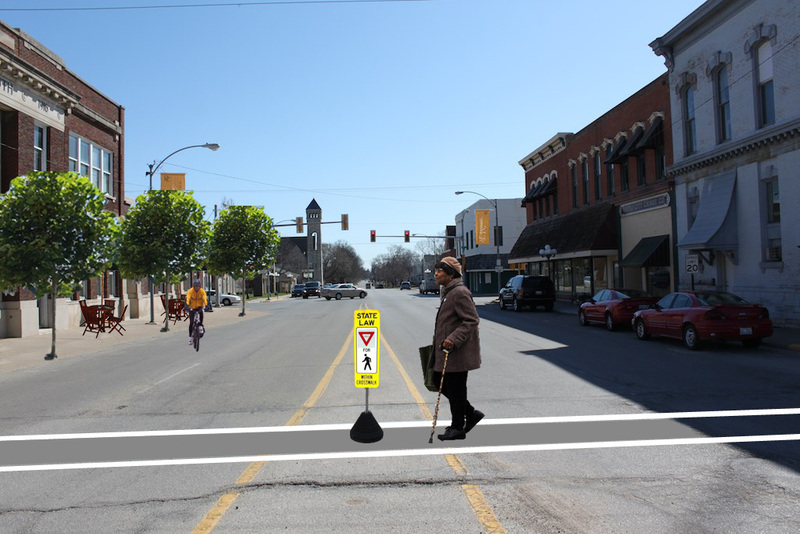 Monmouth can enhance safety and accessibility in the downtown by adopting some Complete Street principles.